I’ve been around the racing world since I was a kid. My dad was a marathoner and my mom a tennis player. So I was always at either a road race or a tennis tournament. It’s no wonder I love that kind of atmosphere. Any idea what I means? To me it always meant that he worked so hard, there’s just nothing left in him once he crosses the finish line. He did his best and hardest. Leaving it all out here has another meaning to me, too. It’s leaving all the stress, worry, and grief out on the trail. 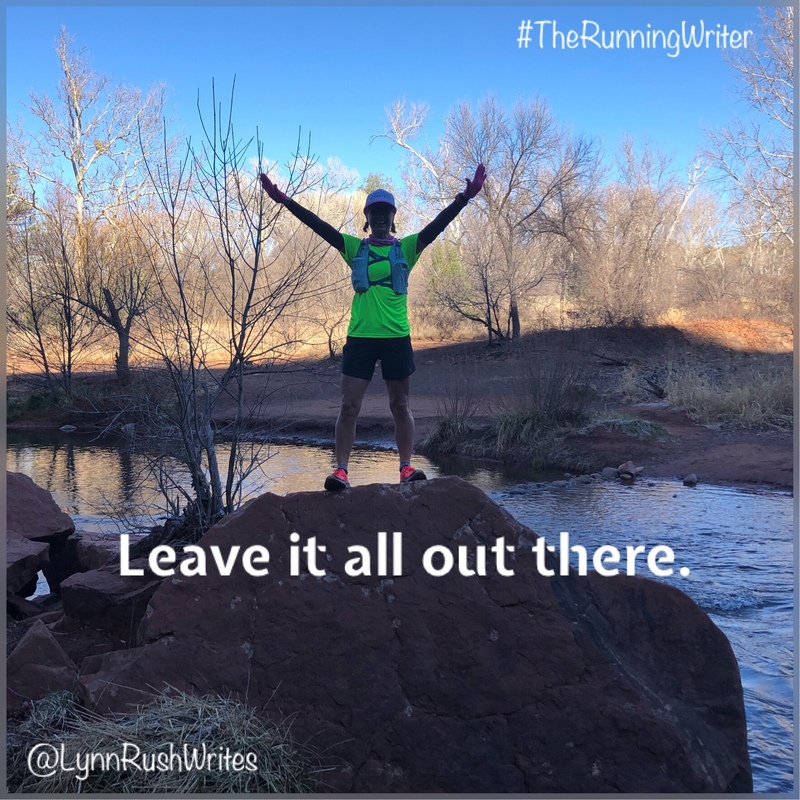 Yesterday I did a 20-mile run out in the Sedona red rock trails with two of my trail sisters. We were awestruck by the beauty. We we laughed. We cried. We talked. We ran in silence. We sang. And it was awesome. Therapeutic in a sense. I got to leave all my junk out there and come back with a renewed sense of hope and clarity. Well…and fatigue. I was wiped out. But it felt awesome.